When driving and the daily tasks that used to be easy become overwhelming, many seniors are faced with choosing between moving in with far-off family members or into an assisted living facility. But these aren’t the only options, thanks to local nonprofit organizations. Compassionate, caring volunteers with Safe Harbour on Hilton Head Island and Caring Neighbors in Bluffton can help with basic needs such as transportation to doctors’ appointments, grocery shopping and errands; respite for the caregiver; companionship; and phone check-ins. Founded 10 years ago by Emily Newman — who looking to create a “village” to help a few of her neighbors in Sea Pines — Safe Harbour received a start-up grant from Coalition for Aging in Place in Beaufort and has grown over the years to serve almost all of Hilton Head. That all-encompassing care can mean a lot to some of the island’s most vulnerable residents. “We serve everyone on the island, both on and off plantation, and often we are the only outside person our members see in a week,” Voyles said. Safe Harbour charges an annual membership fee of $600 per person or $1,000 for two people, which guarantees one trip per week — and trips can include multiple stops. No one is turned away due to financial need, and the fees also help the organization cover a part-time executive director’s salary and administrative expenses. The group also receives grants from several island organizations to cover costs. The organization currently has about 35 to 50 members, with an average age of about 75 to 85. The only requirement for members is that they are mobile, though canes and walkers are permitted. Volunteers are also carefully screened and trained. Safe Harbour hosts Fun Friday once a month at its office at 4 Northridge Drive on Hilton Head, offering lunch and activities. Caring Neighbors does not charge a fee and all care is done by screened and trained volunteers. Through fundraisers, the organization has donated two AEDs to Rose Hill Plantation for security officers to carry in their cars in case of emergency, and will donate a third for the neighborhood’s clubhouse. The organization also hosts educational programs, seminars and CPR training. Mary Ann Burgeson, whose husband, Glenn, had Parkinson’s disease and received help from the organization, can’t say enough about his Caring Neighbor volunteers. And they’re not always younger than the residents they help. Both organizations say they are always looking for new volunteers; no medical or personal care or heavy lifting is required. 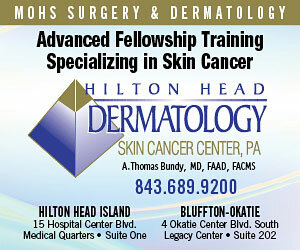 Other communities also have established their own care-based organizations. For example, volunteers with Sun City Hilton Head’s Staying Connected help neighbors stay active by offering home visits and transportation to doctor’s appointments, as well as help with errands and basic home maintenance — making it easier for residents to continue living at home. 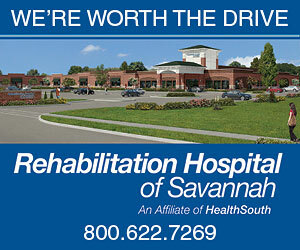 For more information about Safe Harbour, call 843-671-7233 or go to www.hhhisafeharbour.org. For information about Caring Neighbors, call 843-368-2096 or go to www.caring-neighbors.org. For more on Staying Connected, go to www.stayingconnectedschh.org. PHOTO: (From left to right:) Ginny Lee Chalmers, Mary Ann Burgeson and Sheryl Inglefield are all members of Caring Neighbors of Bluffton.